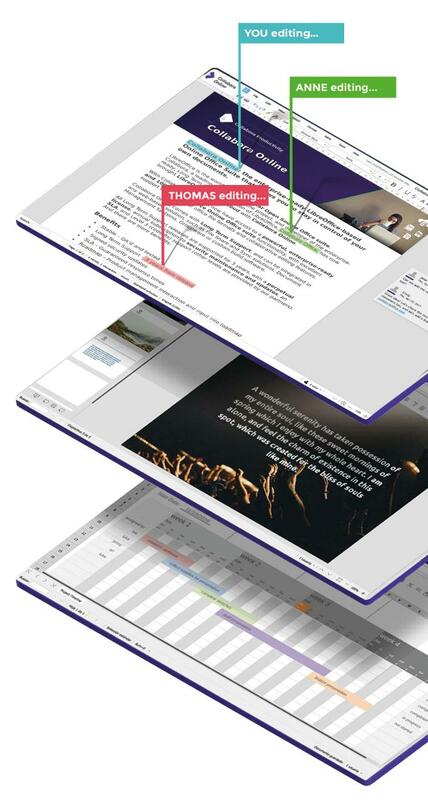 Collabora Online is a powerful LibreOffice-based online office that supports all major document, spreadsheet and presentation file formats, which you can integrate in your own infrastructure. Key features are collaborative editing and excellent office file format support. Collabora Online is excellent for enterprises that need a powerful office suite in the cloud, or on-premise, that protects their privacy and allows them to keep full control of their sensitive corporate data. Hosting and Cloud businesses who wish to include document viewing and collaborative editing functionality into their service offering can do this now with Collabora Online.